WooCommerce Paygate Payment Gateway Extension: allows you to handle payments on your WooCommerce store via PayGate (direct method). PayGate for WooCommerce allows customers to make payments using the PayGate PayWeb or PayGate PayXML merchant facilities. PayGate is a trusted and specialist credit card payment services provider that has been operating since 1996 and works with all major financial institutions in South Africa. 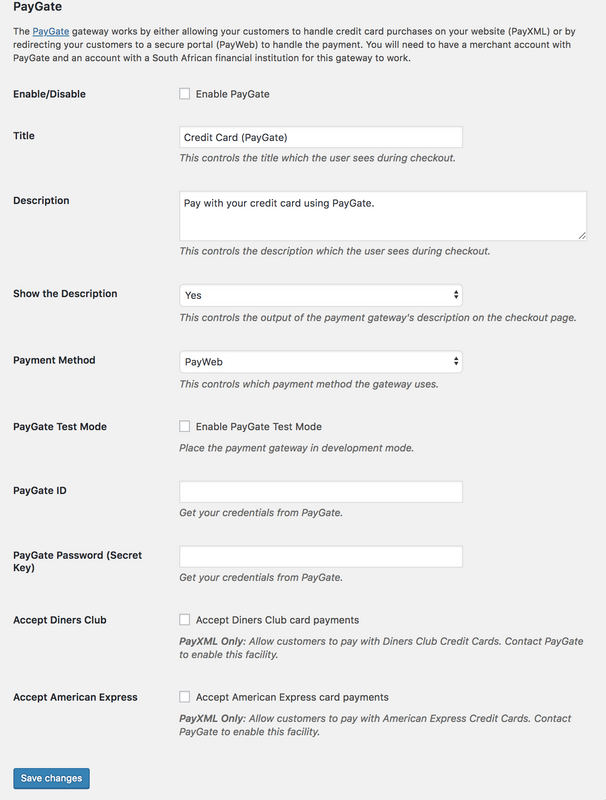 PayGate XML is a direct payment gateway. Therefore an SSL certificate is also required to ensure your customer credit card details are safe.